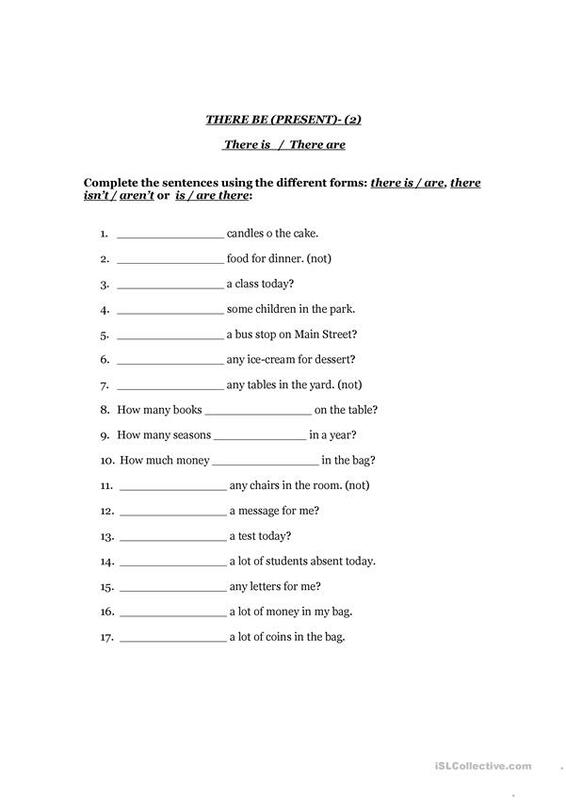 To practice "There be"" in the Simple Present - 3 forms: affirmative, negative, and interrogative. This downloadable handout is a great resource for adults at Elementary (A1) level. It is valuable for teaching in English, and is useful for enhancing your students' Writing skills. BESHIDER is from/lives in United States and has been a member of iSLCollective since 2012-01-17 02:53:50. BESHIDER last logged in on 2012-01-17 03:40:44, and has shared 1 resources on iSLCollective so far.